For the 2017 National Touch League campaign it has been agreed at Scorpions committee level that teams will be finalised much earlier than in past seasons. Scorpions realise this may equate to less teams being sent to NTL and are prepared for this outcome. We are requesting the support of our fantastic members for this change to be successful. 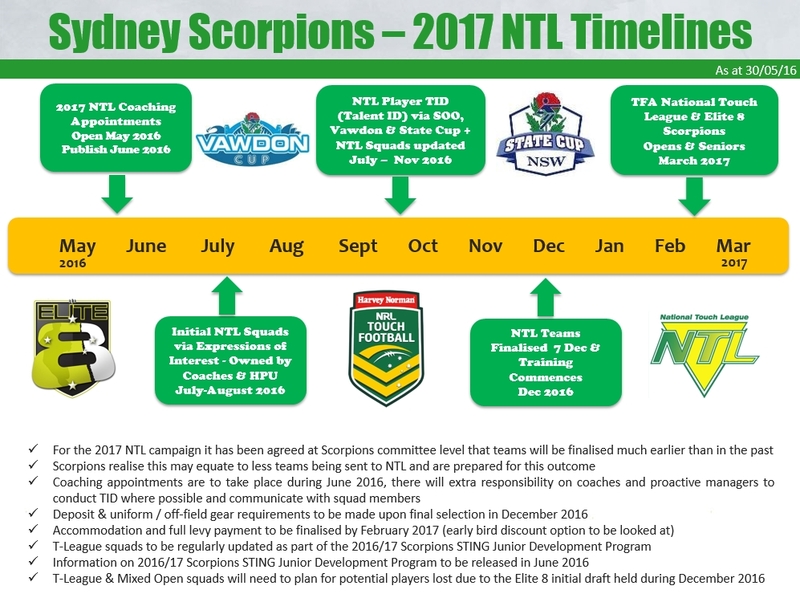 More information can be found via our 2017 NTL Timelines roadmap. 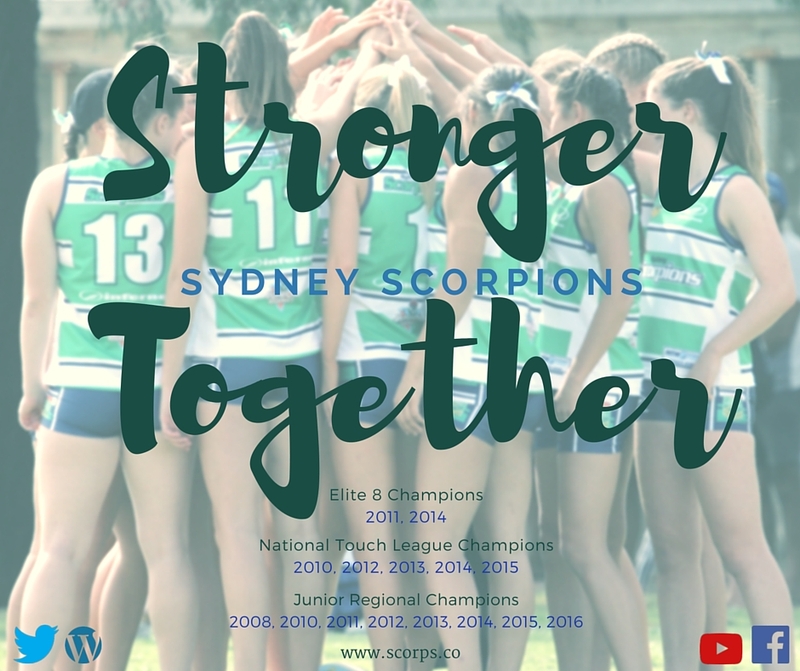 Sydney Scorpions are pleased to announce our new branding & marketing slogan “Stronger Together”. These two words put together ideally describe Sydney Scorpions. We are a number of local affiliates who come together to form Scorpions. Yes individually we are strong, however together we are even stronger and our success over a sustained period of time is something that all members should be very proud to be a part of. We are looking forward to our 2017 campaign with new initiatives from our High Performance Unit to be announced soon.